Looking for an easy to use software program for keeping track of all of your stock trades? TradeTrakker might be what you are looking for. TradeTrakker is a portfolio management software program that I've been using for years to keep track of all my stock trades. It's inexpensive and it has many powerful features to manage your trades. Set alerts based on stock price or trade volume. Track your stock or mutual fund positions in multiple portfolios. Stocks can be tracked from most major world stock exchanges. 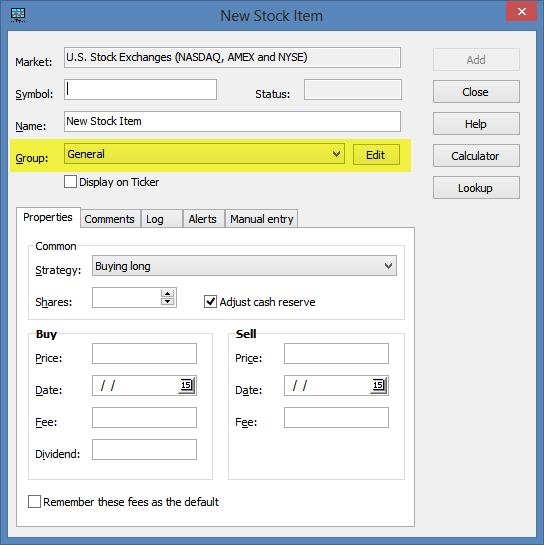 Optional ticker display can be configured with any stocks or indexes. All data can be exported into Microsoft Excel. Print summaries and detailed reports. Well, when you first download TradeTrakker you will go through the "Stock Wizard" that will prompt you to enter in all of the relevant information. That works fine but I like to enter in my information manually. To do this go to File > New and name a new data file (I named mine Craig). Then, start creating your first portfolio. Go to Portfolio > New to do that. I name my portfolio's by year. So, I have portfolio's named 'Trades - 2010', 'Trades - 2011', etc. You could also group your trades by month or by quarter. Whatever works for you. This makes it easy to see which trading style you are making the most money with (I discovered I had to limit my day trading!). You can list reasons for your entry, market conditions at the time of the trade, etc. It means that this software program actually doubles as a trading journal! You can review your notes for all the trades that you make and see which types of setups are working, and which are not working. This is why a journal is so important. There are many other features that would take forever to list. They also send you updates to the program with new features for free! Managing your money is the most important part of trading stocks. 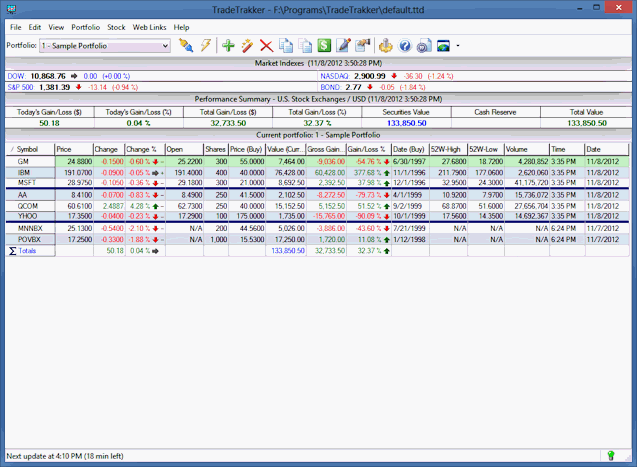 This software does a great job of running the business aspect of trading stocks. 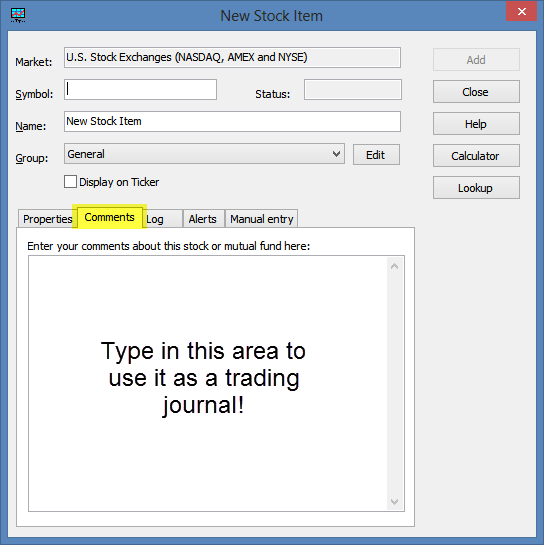 Now with the ability to add comments, you can also use this as your own personal trading journal. Download a free 30 day trial version of TradeTrakker here and take it for a test drive!